I recently attended the talk Supporting Structures: The use of plinths and platforms in Carol Bove’s work at the Henry Moore Institute. 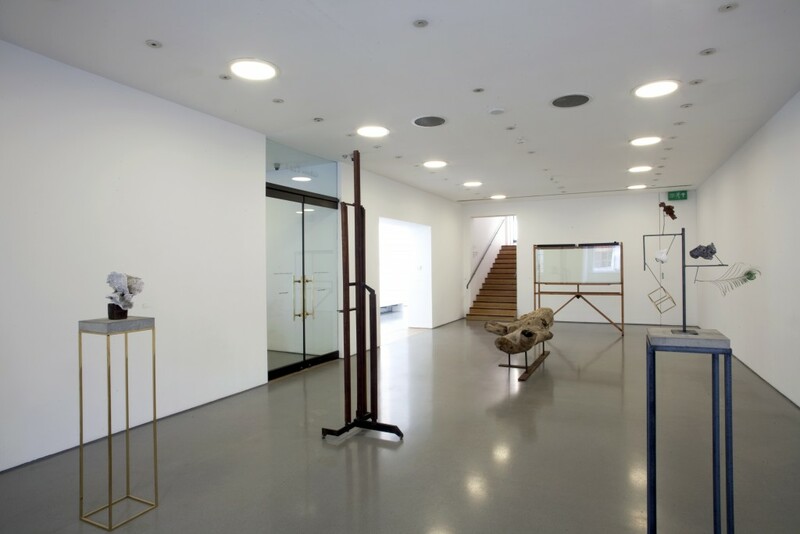 Kitty Anderson’s talk coincided with the Carol Bove / Carlo Scarpa exhibition in the Institute’s main gallery spaces. Kitty noted the history of supporting structures in sculpture, briefly covering their role in other artists’ work. See Isa Genzken’s “The Only Female Fool” and Josephine Meckseper’s “Afrikan Spir”. Structures such as plinths and armatures elevate Bove’s work and become performative elements, staging and anthropomorphising the items. If the supporting structures are considered props, where is the performance taking place? Are we the audience for the piece, or is the piece watching us as we perform our role? Platforms help to create new narratives between discrete sculptures. Before the talk, I wasn’t aware that she is flexible with her sculptures, using them in different installations when appropriate. The items within her work frequently show their age. Sometimes traces of their past lives are visible, and sometimes their history is imperceptible. How does this affect the work, and how do her armatures, shelves and glassless vitrines help control the context of each element? HMI head Lisa Le Feuvre and curator Pavel Pyś were present at the talk and provided some first-hand insight for Bove’s work. She is specific about installation, making full-scale and miniature models of her work in its surroundings to test placement before it arrives on site. She also writes extensive installation and assembly manuals for each piece. See Carol Bove Manuals 2010, published by The Leopard Press and available for purchase at Karma. Perhaps Bove’s manuals are a less physical but equally considered and essential supporting structure. Are her installation manuals artworks in and of themselves? How will her detailed specifications impact her work when she can no longer dictate its installation? I found the question of authorial control over time particularly interesting, and it reminded me of a recent visit to the Barnes Foundation. During a 20-hour stint in Philadelphia last weekend, I managed to have a quick walk through the collection. I had very little familiarity with the contents or history of the collection before my visit. The entrance to the Barnes Foundation in Philadelphia. Afterwards, I learned that the Barnes Foundation has faced controversy in recent years as they attempt to maintain the collection and to uphold the founder’s iron-fisted vision. Alfred C. Barnes was an avid collector and intellectual with opinionated views on education, the arts, and philosophy. His unique perspective formed the basis of the foundation and have been his legacy since his death in 1940. A 1993 article in The New Criterion more thoroughly outlines Barnes’ biography and the history of the foundation. The impressive collection features art and craft pieces from around the globe with a preponderance of Post-Impressionist and early Modern paintings. The work is displayed exclusively in Barnes’ original symmetrical ensemble arrangements and have no labels except for occasional small surname plaques at the base of the frame. Barnes was not an artist, but he imposed similar authorial control on his ensembles. 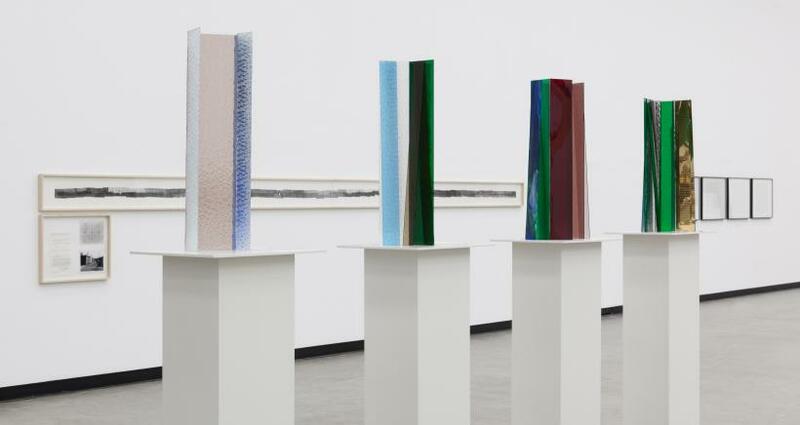 His curatorial decisions were nearly unprecedented during his lifetime and allow the viewer to draw unusual connections between work by different artists and craftsmen, from different cultures, in different mediums. After the Donor’s death no picture belonging to the collection shall ever be loaned, sold or otherwise disposed of except that if any picture passes into a state of actual decay so that it is no longer of any value it may be removed for that reason only from the collection. Barnes felt strongly about the permanent display and location of his collection. Nevertheless, the Foundation moved all of the art from Barnes’ declining suburban home to a new building in central Philadelphia on Benjamin Franklin Parkway after quite a bit of litigation. The building and grounds are beautiful and spacious. The permanent collection galleries within the building are less impressive, perhaps because the architect was obliged to reproduce the layout of Barnes’ home. The collection itself is world-class. Personally, I most enjoyed the prominent role that Soutine’s paintings played in Barnes’ ensembles. Though the layout was once groundbreaking and unique, it no longer has the same effect now feels somewhat dated. This a natural consequence as we move further in time from the ensembles’ original context and the display no longer contains contemporary work. It seems a shame that his vision should become stale because of his own restrictions. The collection exists due to Barnes, and his efforts should be preserved by displaying the majority of the permanent collection as originally assembled, but surely loosing the bonds a bit would help the Foundation celebrate his legacy. Contemporary work could be incorporated in brand new Barnes-esque ensembles. The acquisitions team could continue Barnes’ ahead-of-his-time collecting habits. 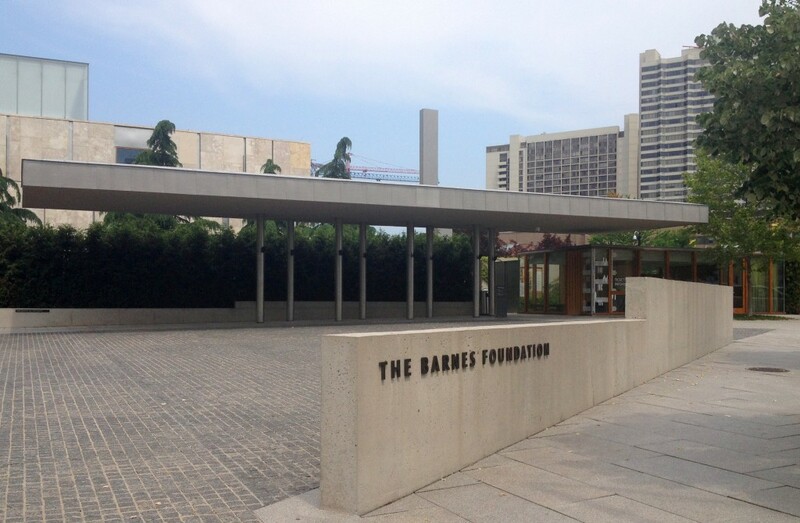 Efforts are being made to bring the Barnes Foundation up to date, though the permanent collection appears to remain confined to Barnes’ ensembles. The Foundation is building a new context for the collection and are currently inviting the questions and criticisms of contemporary artists in the temporary gallery space. Artists Mark Dion, Judy Pfaff, and Fred Wilson have created installations in response to Barnes’ particular display methods in The Order of Things, on until the 3rd of August. I believe Wilson may even have had access to some original work from the collection storage archives. Many of the more recognisable artworks in his installation appear to be replicas, though I may be wrong. The Barnes Foundation came to mind when Kitty discussed Bove’s use of supporting structures to control her art. While the Foundation’s dedication to Barnes’ strict curatorial touch can feel severe, Bove’s delicate control of context is intriguing and invites question. The Foundation is responsible for enforcing the concrete definition of Barnes’ vision, whereas Bove has near-boundless – and perhaps terrifying – freedom as the original author. I left the talk considering the negative and positive impact of control on a body of work over time. I wish I had also left with a copy of Bove’s manuals, a purchase for another time perhaps. Kitty’s talk was great, and I hope to get up to The Common Guild in Glasgow soon. She left a few leaflets for her audience, including a particularly attractive pamphlet for the “Twin Fields” exhibition by Anne Hardy on until the 16th of August.